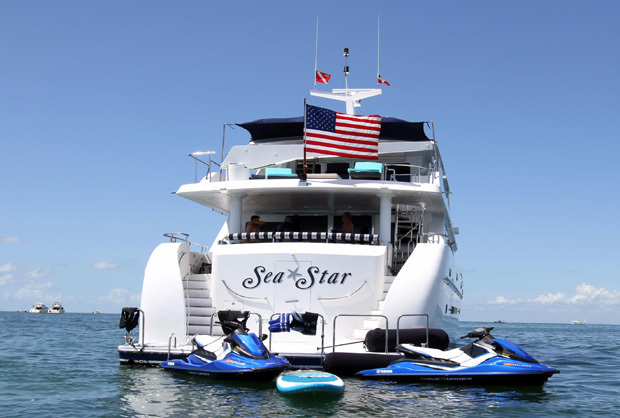 SEA STAR was designed with long range cruising in mind, something that's obvious as soon as you step foot on her expansive deck. 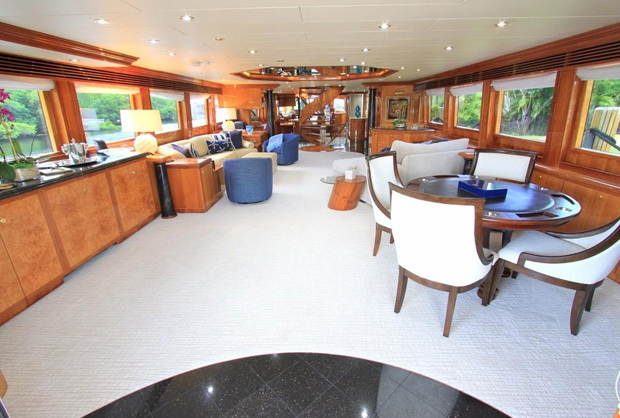 Powered by twin CAT Diesel 3412's, she offers 3 pilot chairs at the helm station, with an aft companion couch for comfortable seating. 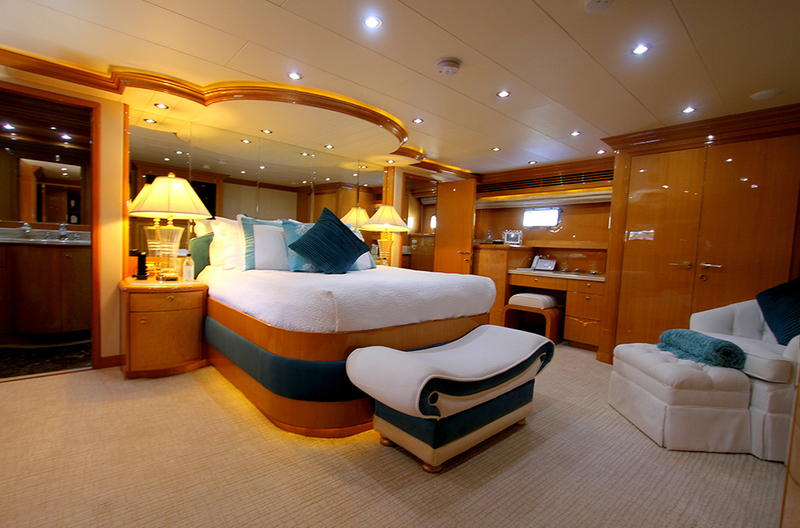 At the foot of the spiral staircase is the master stateroom, where you'll find the dropped ceiling over the bed ornamented with a tasteful combination of lighting and mirrors, all framed in custom wood trim. 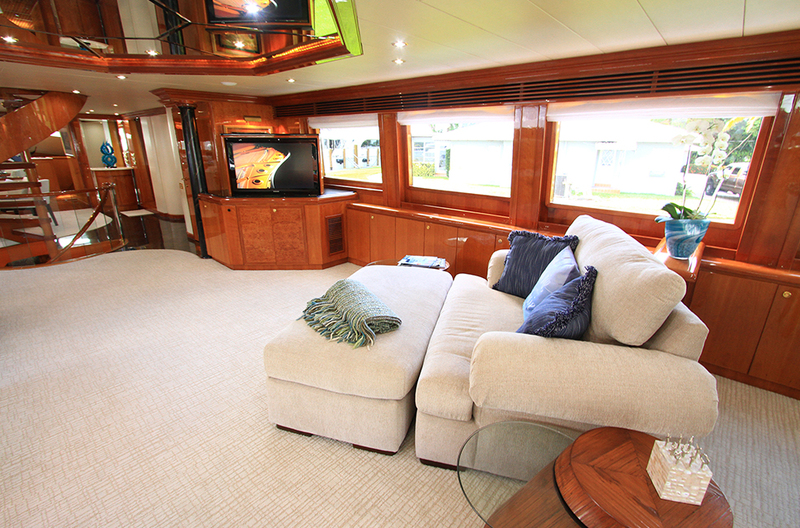 The master was designed with a queen size bed and large, marble-top night stands that provide storage below. 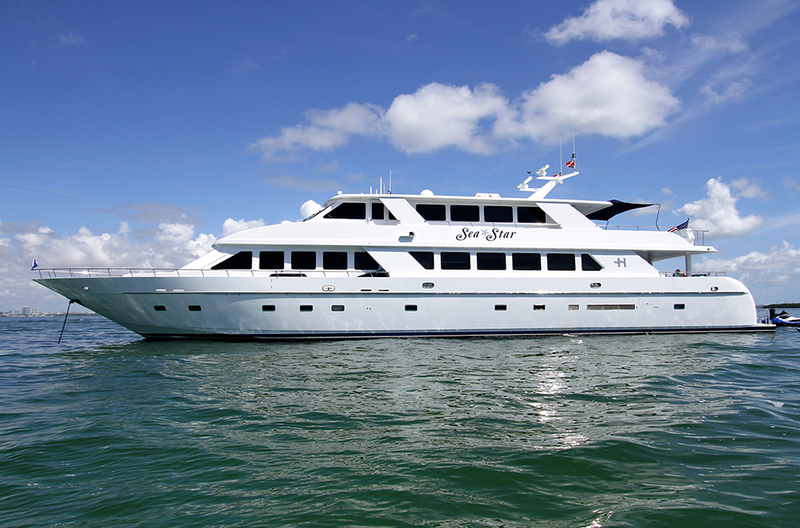 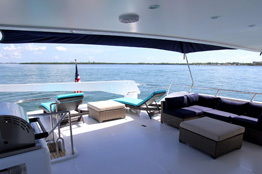 She also has a unique sky lounge that was laid out with the helm forward, which is closed off and separated by a bulkhead from the entertainment area, where a bar is located to port that features 4 custom bar stools built to swivel as you sip your evening cocktails at sunset. 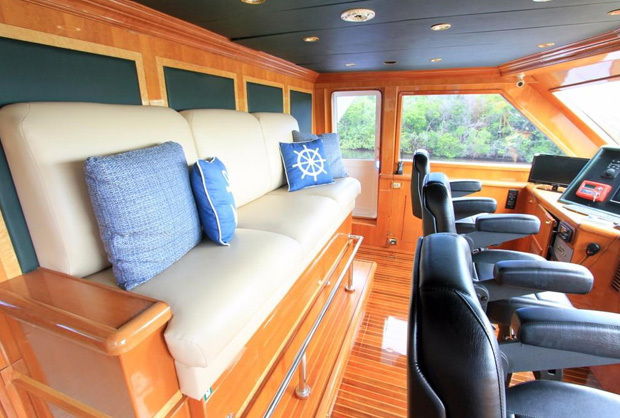 SEA STAR is made for the type of unwinding that just keeps getting better out on the water, and with her full sail shade on the flybridge deck, you might find yourself unwilling to leave the comfort of those inviting lounge chairs. 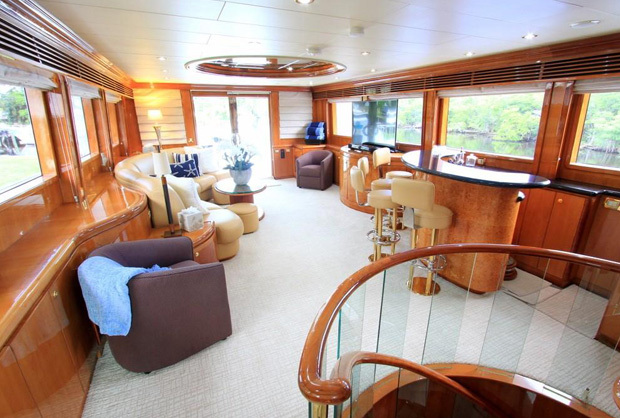 She also features plenty of room for an evening cocktail party, perhaps a nightcap, in the spacious sky lounge where a drink and a view are always on the menu. 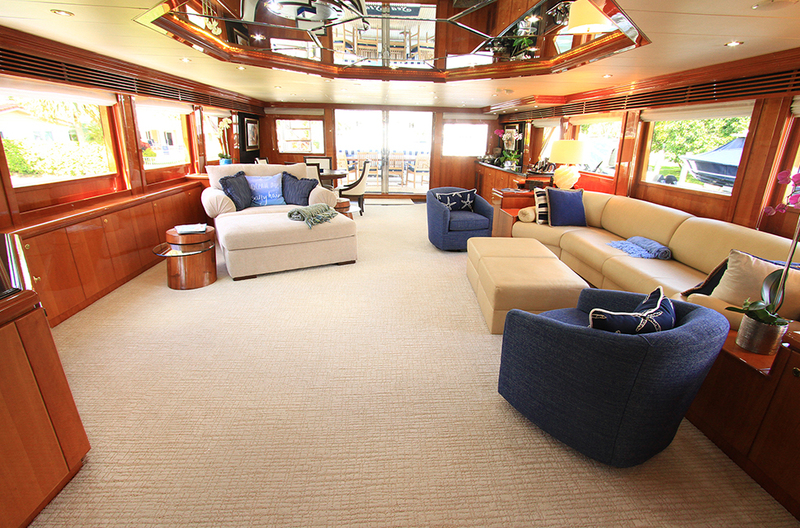 From the aft deck, you can stroll right into the chic main salon. 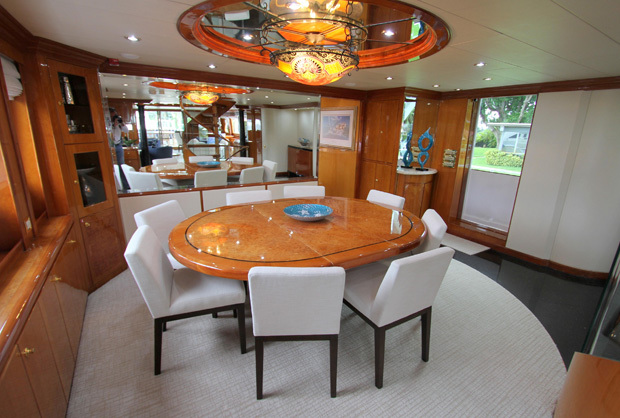 And to starboard, there's an alluring game or card table with chairs that should have you and your guests lost in good conversation more than once on your journey. 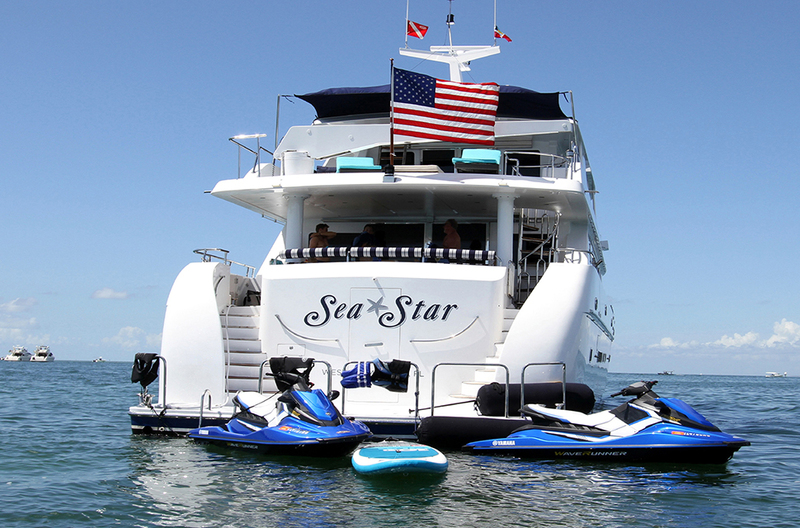 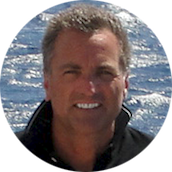 If a little high-octane fun on the warm, placid waters of the Caribbean sound enticing, check out the sporty toys aboard, which seem readied for that quintessential blue ocean ride.